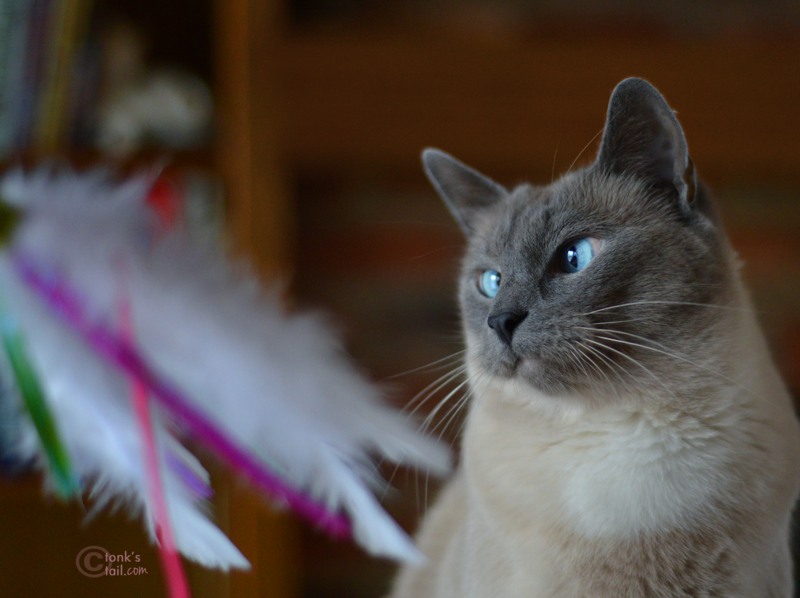 Maxwell: Well, hello, white-feather wand toy...are you ready to go a few rounds? "For the wand toy fun we are about to recieve, we give thanks." ...and my apologies in advance for any unsightly shredding you might encounter. well this makes me happy :) Hello handsome boy! 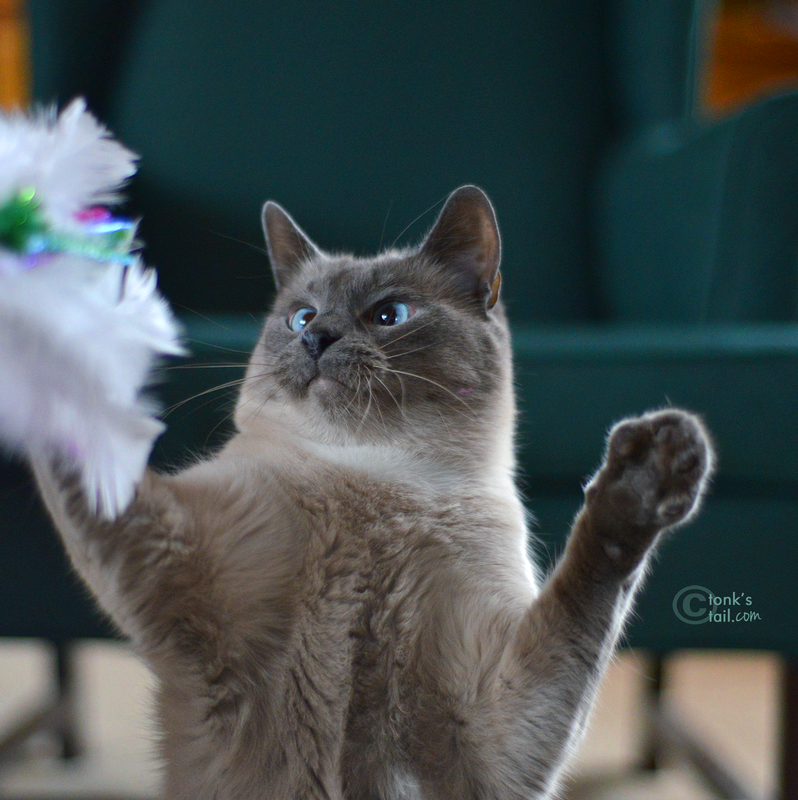 So sweet :) I wish Truffles loved wand toys as much as your babies do. Truffles has several and pretty much ignores them. Then the other day I got a tshirt in the mail and it came in a plastic package. I started playing with her with the end of the package that I cut off to get inside and she adores it! We love how you bowed your head. So cute! You are just way too cute and funny! Excellent feather form Maxwell! Yeah!!! MOL, Maxwell! I never thought of doing that with any of my toys... maybe I should. You are so polite before the carnage. Have fun wif your wand! Feather wands are something to be thankful for, for sure. Just before you tear them to little bits, that is. Great photos and a great reason to be thankful. Go Maxie Go!!!!! 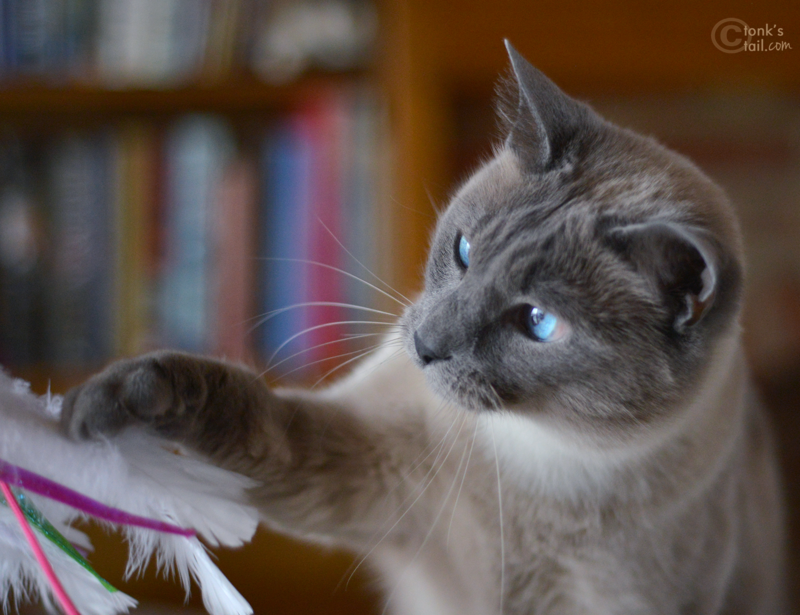 That feather toy looks like tons of fun! 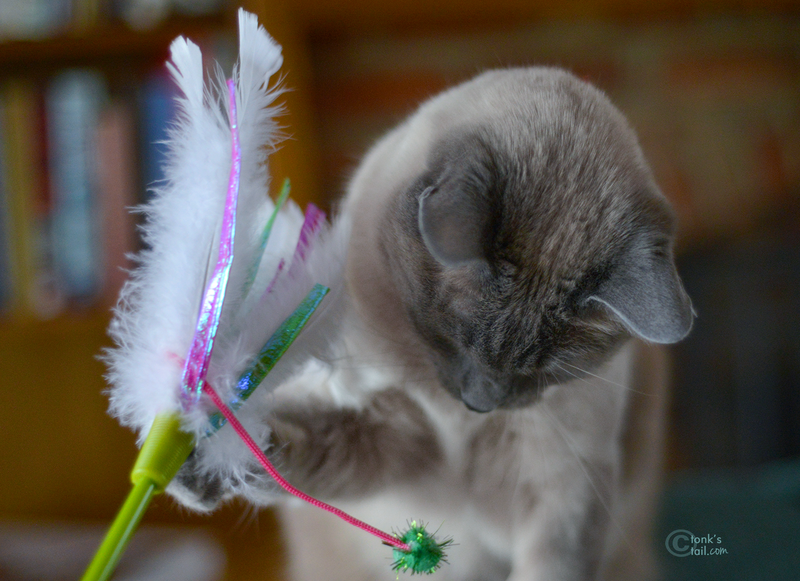 Poor Mr. White Feather toy - it never stood a chance with you on the case Maxie! Maxwell, you are an artistic predator! I hope you enjoy your toy.